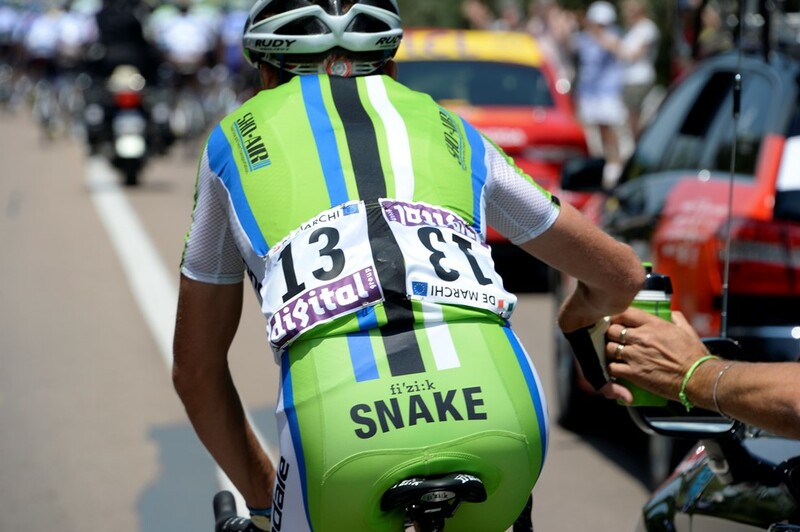 fi'zi:k are pleased to announce that during the 100th edition of the Tour de France, the Cannondale Pro Cycling team will be riding with fi'zi:k's Spine Concept "cheekily" on display. 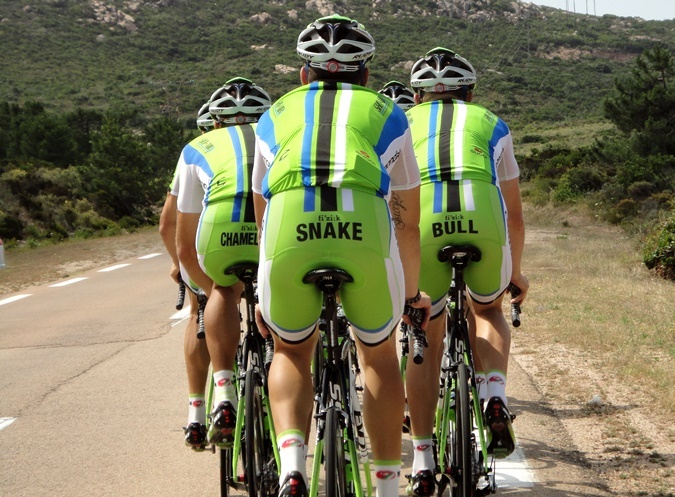 Each Team Cannondale rider will feature on the rear panel of their team shorts in place of the standard fi'zi:k logo their specific Spine Concept Animal, which best reflects their high performance on-bike fit. The Tourminator, Peter Sagan for example, will ride as a Bull as that's the Spine Concept Animal which best fits Peter's on-bike physique. At the start of Stage 4 of the 100th edition of the Tour de France Peter Sagan is already wearing the Green Jersey, symbol of the Points' Classification leadership. We look forward to helping Cannondale Pro Cycling Team achieve their Tour goals of delivering Sagan to Paris in the Green Jersey. fi'zi:k is supporting the project with a series of competitions on its facebook page (link) and its twitter stream. Once every week during the Tour de France, a fan and a follower will have the chance to win a signed saddle - one per social media - each one representing an animal; saddles will be signed by Kristijan Koren (chameleon), Moreno Moser (snake) and Peter Sagan (bull). 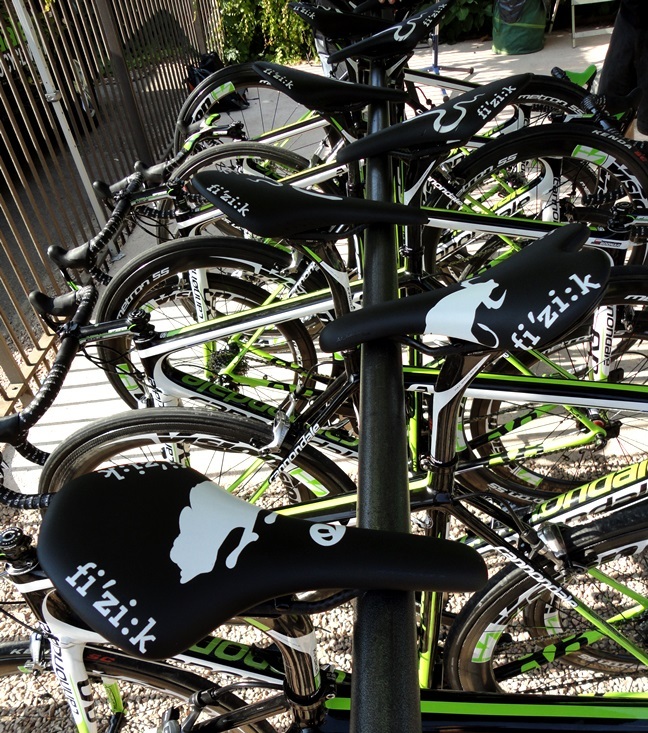 Instead of the usual Team Cannondale colours, each saddle on the team's bikes will also promote fi'zi:k's Spine Concept. This is thanks to a specially designed graphic silhouette of the animal connected to each individual rider, be it a snake, a bull or a chameleon. All this activity is strengthened further by the new digital advertising campaign promoting "Find The Animals At The Tour", which is running during the Tour de France on the main specialist road cycling websites all over the world.